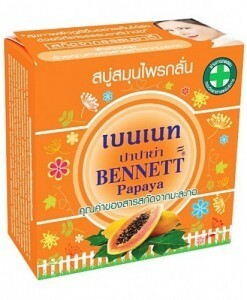 Return to the nature with refined herbal “Bennett Papaya”. 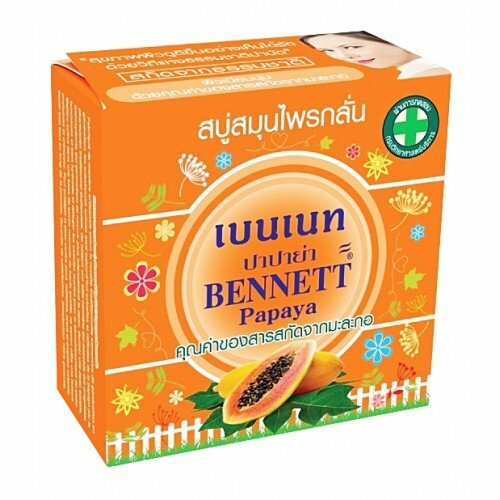 Made with the traditional methods according to the recipe passed from generation to generation, the active substances are now extracted and refined from papaya by Thai Traditional Pharmacy. Beta-carotene, active substances that act as antioxidants to help nourish the skin, give a luminous, firm and hydrated skin, remove dead skin cells and whiten skin. 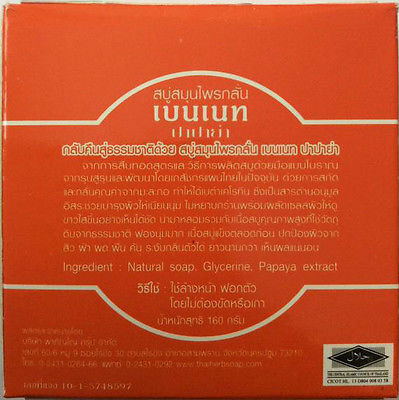 Active ingredient in high quality natural soap base, this soap offers a smooth and creamy texture. 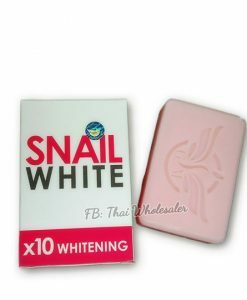 To protect skin against acne, melasma, pruritus and rash. Smell good throughout the day. 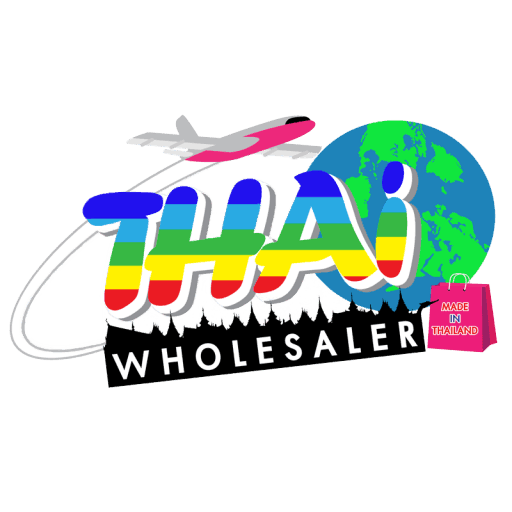 Using for both face and body with all skin types. Use clean and massage lather over face and body for 3-5 min. 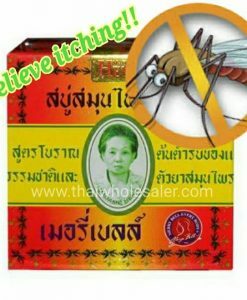 , Rinse thoroughly.Can use regularly often.